This season is all about prints! 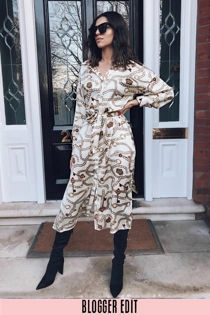 Our new chain print midi dress is the perfect pick, featuring a button fastening, long sleeves and matching belt, this long shirt dress is wardrobe must have. Style with your fave ankle boots for the day or heels for a more glam evening look.